GR Taproom — The Mitten Brewing Co. The Mitten Brewing Company was founded in November 2012 by lifelong friends Chris Andrus and Max Trierweiler. Located in historic Engine House No. 9, The Mitten is a vintage baseball-themed microbrewery/pizzeria with a focus on community involvement and charitable giving. Andrus and Trierweiler were dedicated homebrewers who saw an opportunity to broaden the city’s craft beer scene and also have an impact on the community at large. Lifelong residents of Grand Rapids, The Mitten's founders sought to add a unique establishment - a craft brewery where sports enthusiasts felt welcome - to the city’s growing craft beer community. 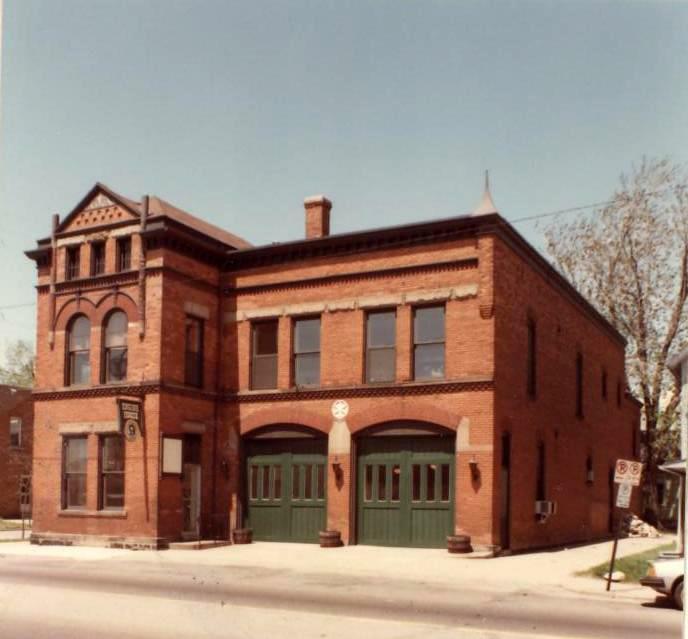 The West Side of Grand Rapids, which hasn’t been home to a working brewery since Prohibition, was the perfect location. Andrus and Trierweiler saw an opportunity for growth and redevelopment on the Leonard Street corridor, and were confident that new investment would foster it. By locating in Engine House No. 9, they also had a unique opportunity to restore one of the city’s Victorian masterpieces. The renovations were aimed not at remodeling but rather restoring the building to its former glory. The original surfaces were exposed and given a fresh face by sandblasting, and the history of the building was researched and incorporated into the decor. The Mitten Brewing Company has grown considerably since opening in November 2012. With the addition of a second story taproom and bi-level outdoor decks (an improvement which received an award for “Best Exterior Renovation” at the 2014 Neighborhood Business Awards), The Mitten expanded its seating capacity from 65 to more than 200. The company also added a 20 BBL production brewing facility across the street from the taproom, firming its commitment to the West Side for years to come. Additionally, in 2015 they were recognized by The Grand Rapids Chamber of Commerce as the “Young Entrepreneurs of the Year,” and received the “President’s Award” from the Association of Fundraising Professionals for the company's charitable giving program. Co-Owners Max and Chris show off the 1st dollar earned. One down, a billion to go!